On the 150th anniversary of the birth of the architect Paul Jaspar (1859-1945), the Commission royale des Monuments, Sites et Fouilles (Royal Monuments, Sites and Excavations Commission), together with the Liège city authorities, is staging an exhibition (from September 5th to October 25th) on one of the key figures of Belgian Art Nouveau. 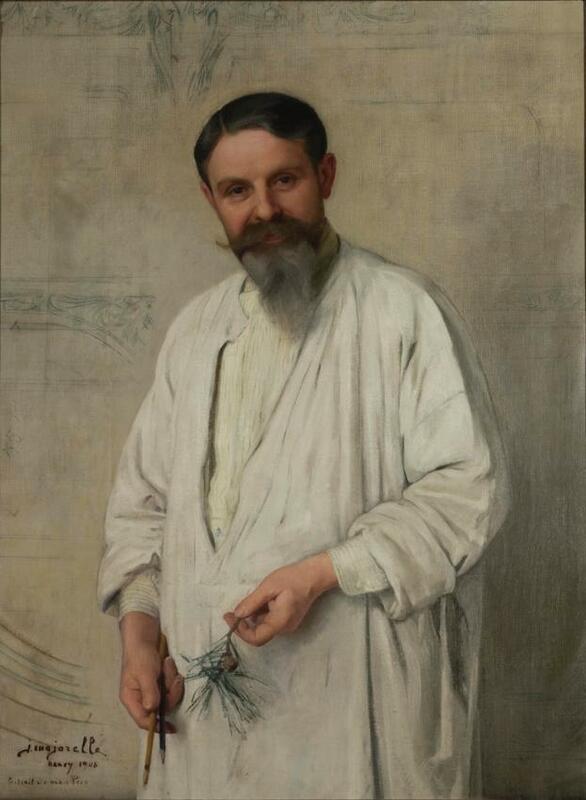 Recognised as one of the great actors of Belgium's modern and regionalism movement, Jaspar developed an original language, mixing Neo-Mosan Art and Art Nouveau. The exhibition presents Jaspar's personal and professional life in chronological order, through plans, photographers, drawings and personal objects. After looking at his family background and education, the exhibition analyses the various styles that Jaspar worked in: Eclecticism, Art Nouveau and Beaux-Arts. The exhibition opens a window into the personal lives of important people in the world of politics, industry and art. The house of the painter Rassenfosse is, in particular, illustrated in numerous architectural drawings as well as in other works (paintings, prints, furniture) from public and private collections. The exhibition's centrepiece is the recreation of the Bénard house's dining room (Liège's first Art Nouveau building), which gives a fine idea of what the interior of a late 19th century bourgeois house looked like. 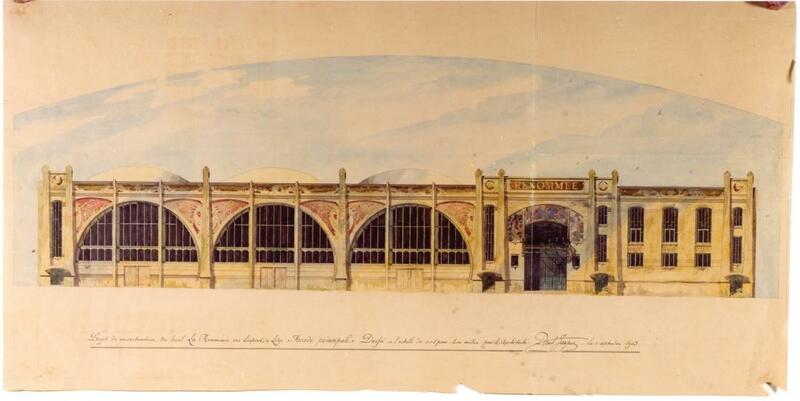 Some emblematic constructions, like the Pavillon des Armuriers at the 1900 Paris Universal Exhibition and La Renommée theatre hall in Liège (one of the first buildings in Belgium in which reinforced concrete played a leading role), are illustrated in previously unpublished and surprising documents. A section dedicated to the architect's "archaeological" reflections rounds off this look at a man who devoted his life to architecture and heritage. According to legend, Ursula was a beautiful girl who broke the hearts of all the boys in Ljubljana. On the night of the Grand Ball, beneath the lemon trees of the Slovene capital's old square, all the young men wanted to dance with her, but none was good enough for the haughty Ursula. Then the Water Man, the monster of the River Ljubljanica, appeared at the ball in the guise of a handsome young man. Impressed by the new arrival, Ursula went all out to induce the mysterious youth to ask her to dance. As they danced, however, there was a sudden downpour, and in the confusion the monster made her turn faster and faster until she fell into the river, never to be seen again. This old legend, converted into the literary symbol of Ljubljana by France Prešeren's (1800-1849) poem, Ursula and the Triton, is the basis for a 3D cartoon video, Ursula and the Dragon, produced in late 2008 for the Slovene Town Planning Institute. A short three-minute story made by Andraž Kržič, it is part of a presentation for the exhibition Slovene Impressionists and Their Time, 1890-1920, on show recently at the Slovene National Gallery. But Kržič's Ursula and the Dragon, unlike Prešeren's Ursula and the Triton, has a happy ending, thanks to the aid of the famous Art Nouveau dragon on the bridge over the River Ljubljanica, a bronze work by the Viennese company A.M. Beschorner (1901) one of the symbols of Ljubljana. While resting peacefully on his bridge, the dragon hears the cries of Ursula, swimming in a desperate attempt to flee the Water Man, who has by now reverted to his monstrous self. 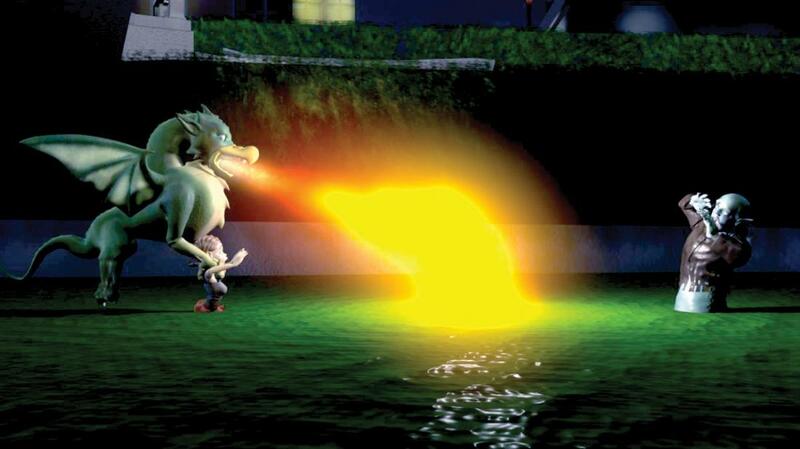 The dragon acts immediately, flying low over the river and snatching up Ursula in his great claws, while forcing the monster back with a burst of fire. He then places the girl gently on the bridge and warms her up, drying her clothes with his hot breath. In an ending reminiscent of the famous song, Puff, the Magic Dragon, the girl and the dragon wind up becoming friends. This charming video can be seen on the Réseau Art Nouveau Network's website in the "Children/Activities On Line" section. The practice of looking at coming trends in textiles and fashion became widespread in Europe at the beginning of the 20th century, at the same time as Art Nouveau flourished. In Catalonia, textile companies subscribed to various so-called "orientation" magazines, which set out the trends in colour, material and style for coming seasons. On this basis, Catalan draughtsmen, theoreticians and artists set to work preparing their own cloth pattern books. To what extent did these European ideas influence Catalan textile production? 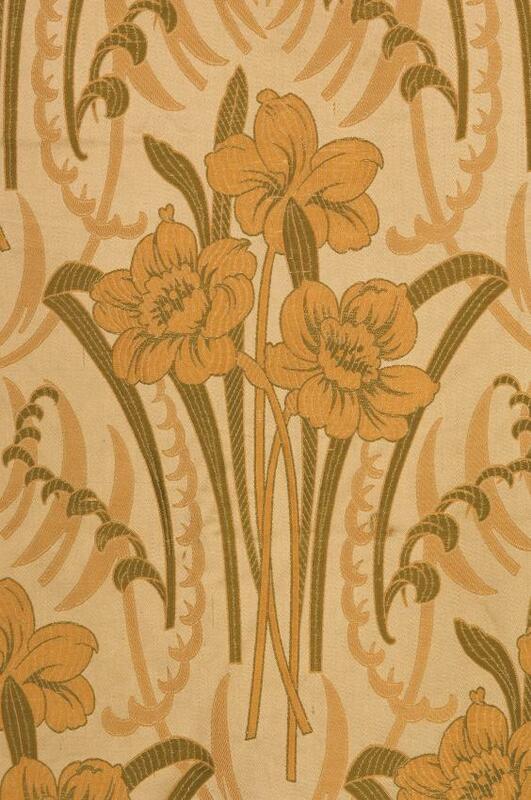 Which "Modernisme" did Catalan textiles follow most? And in what fashion? Which European artists and schools left their mark on our silk, cotton and wool products? In the Documentation Centre and Textile Museum (CDMT) we have begun researching the sample pattern books of European companies. This will help us discover the trends that appeared in Catalan textiles at the turn of the 20th century, to follow developments in machinery and technology and to identify links that were established between Europen artists, firms and draughtsmen. We at the CDMT ask you to participate in this project, in which we hope to bring together European textile centres, set up a data base with the most representative samples, and to see how trends were created and how, on the basis of those, we create others. Textiles are living heritage that can serve as tool of the future. This research project, due to last 1-1/2 years, will culminate in an exhibition at the CDMT. Set up in 1974, the Inbev-Baillet Latour Fund aims to encourage substantial scientific, academic and artistic achievements. At the end of 2008, it donated ?1.5 million to the Royal Museums of Art and History (RMAH) to establish a museum circuit on Belgian Art Nouveau and Art Déco. As a result, three Art Nouveau galleries will open in June 2010. A fourth one and two Art Déco galleries will follow in 2012. The RMAH's unique Art Nouveau and Art Déco collections include furniture, sculptures, silver- and glassware, jewellery, ceramics and textiles. A procurement policy was in place by 1900 to acquire items from exhibitions or artists like Henry van de Velde and Philippe Wolfers, and these items are world-renowned. In the past 10 years, first-class pieces have been added to the Art Nouveau collection. Procurement is based on research focused on aesthetic quality and the objects' historical significance. Given Belgian Art Nouveau's fame, the RMAH collection is world class. The new galleries will be a perfect fit for Brussels, a capital that nurtured Art Nouveau and unmistakeable as the city of Wolfers, Victor Horta and Paul Hankar. Henry van de Velde began his career here and Belgian Art Nouveau influenced architects beyond Belgium, such as France's Hector Guimard and Austrian Otto Wagner. That Brussels set the tone had much to do with the enormous wealth in what was then a new and young capital city, where artists experimented with new materials like ivory and exotic woods from the Congo, King Leopold II's private African feifdom. A visit to the RMAH's permanent Art Nouveau exhibitions makes a fine corollary to Brussels' numerous examples of Art Nouveau architecture. In addition to admiring façades in the streets, the visitor can revel in the glory of interiors, as represented by the 250 or so top works on display. 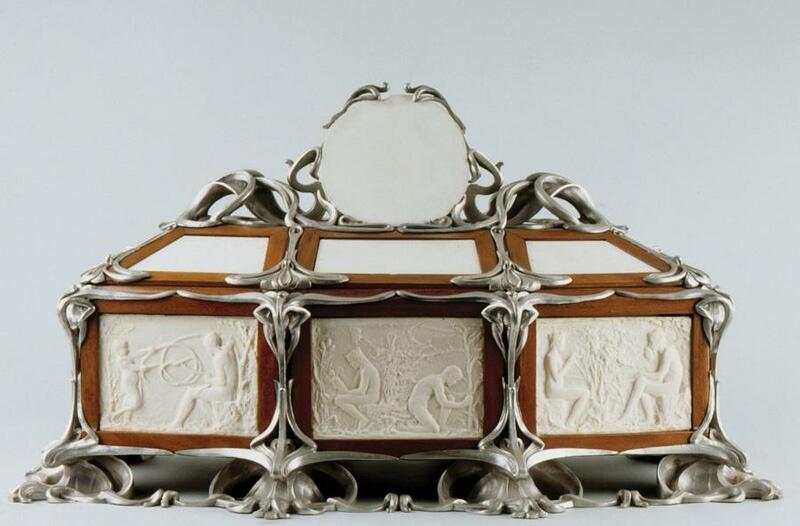 From 2 May to 30 August 2009, the École de Nancy museum is dedicating, in Galeries Poirel, an exhibition to a man who was not only one of the most active and innovative Art Nouveau cabinet-makers and decorators but also one of the vice-presidents of the Nancy art movement known as the École de Nancy. Not just the artist Louis Majorelle (1859-1926), but the whole Majorelle family and factory are at the heart of this retrospective, the first of its kind held in his native town. Coinciding with the 150th anniversary of the Majorelle's birth, the exhibition Majorelle & The Modern Art of Living, brings to life the work of the artist and his factory, from the first steps of Art Nouveau through Art Déco to the Modernist vocabulary of the 1930s and 1940s. The succession of styles that established the Majorelle business's reputation for elegance betrays a quality of workmanship and artistic ambition that never faltered. A discreet and modest man, Majorelle liked to think of himself as a "manufacturer of art": his output associated and aimed for artistic yet serially produced furniture, distributed around the world thanks to a strong trade network. A man of his times, Majorelle sought modernity. He was able to adapt his style to formal and decorative developments as well as to the ever-changing habits and fashions of a new society. This exhibition, with 170 items chosen for their exemplariness, diversity and conceptual finesse, pays homage today to the incomparable talents of the House of Majorelle, begun by Louis and carried forth for nearly 30 years by his brothers and onetime colleagues. Aside from furniture, the exhibition presents separate lamps and glasswork designed with the help of the Daum factory, ceramics turned out by the region's top workshops, wrought ironware and numerous examples of graphic art illustrating Majorelle's concern with distribution.